How does your Brand Image rank? How can brand image help you sell your product online? This is a good question and understanding the link between sales, clicks, etc. and brand image is imperative to increasing your sales. Both B2C sales and B2B sales. There are many different focus points that every business needs to maintain a successful brand image, but keeping that image as a whole united is extremely important. How can this be done? Before we dig in, we first understand precisely what brand image means. 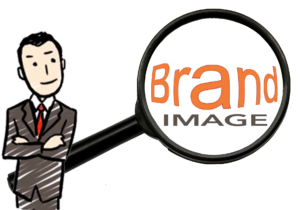 Brand image, in a nutshell, is the impression of customers’ that is developed over time through marketing campaigns of a business. And while many different things come together to form a brand image, today we are going to focus on just a couple things. Before anything else, your customers and potential customers will notice your logo. If it’s appropriate and eye-catching, it will be a click driver for your advertising campaigns; if it’s dull and boring, it will become your Achilles heel. A good logo should be an at-a-glance reference to your business and what you do. The colors should be pleasing to the eye and consistent across your brand. If done correctly, your brand image will drive clicks on your social media pages to generate the B2C and B2B sales you are looking for. Wording is everything. If you’re selling t-shirts to teens or services to businesses, you must speak their language. To do this, you must connect with your prospect in a what that makes them feel that you understand their goals and you are the solution to their problems. Outline the audience you crave, define the language they speak, and then use that information to explain how your business is the solution they have been looking for. Now that you are feeling more in control of your brand image, how do you take that control to the next level to boost that brand image from a marketing perspective to increase our B2C/B2B sales? Whether you are starting fresh or starting over, analyze your chosen social media platforms. Look at your current lead generation strategy and make sure that you are following the guidelines mentioned above. Are you consistent with the wording of your advertising? Is your message clear and speaking on the level of your potential customers? Facebook, Twitter, Instagram and other social media platforms are great ways to get your message out in a cost-effective way. Just be consistent and stay true to your brand image. Also, using a marketing tool like the analytics package offered at Visual Visitor will help you better understand the effectiveness of those campaigns with referral sources, demographic information, and more. Does your social media advertising link to your business website? Do you advertise to generate website traffic so that you can further educate your potential customers on why your product or service is the answer to what they are looking for? Here is an important question – do you have a method of tracking the customers who are visiting your website? If your answer is no, or if you do not understand the importance of a marketing tool that anonymously identifies your website visitors, then you must take a moment to read over this product guide. At Visual Visitor, we believe that a good brand image is critical and will help drive more opportunities your way. We also understand that a full suite of sales and marketing tools are needed to go the distance from an interested potential customer to a closed deal. That is why we built a toolkit that goes beyond anonymous website identification and includes email campaign integration, forms capture, email tracking, website analytics, and more. Test the effectiveness of your current strategy with a free, 14 day trial of Visual Visitor today!